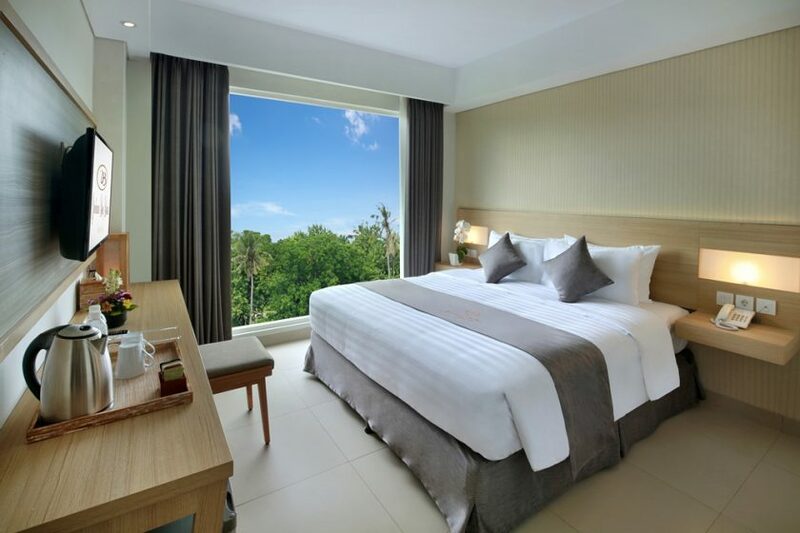 Welcome to The Jimbaran Bay Beach Resort & Spa, an independent, family-friendly retreat, just footsteps from Kedonganan Public Beach and the spectacular Jimbaran Bay. 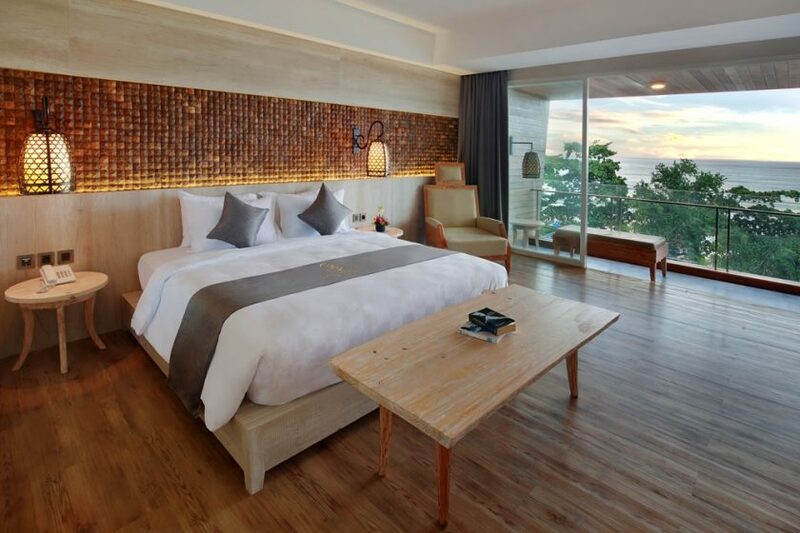 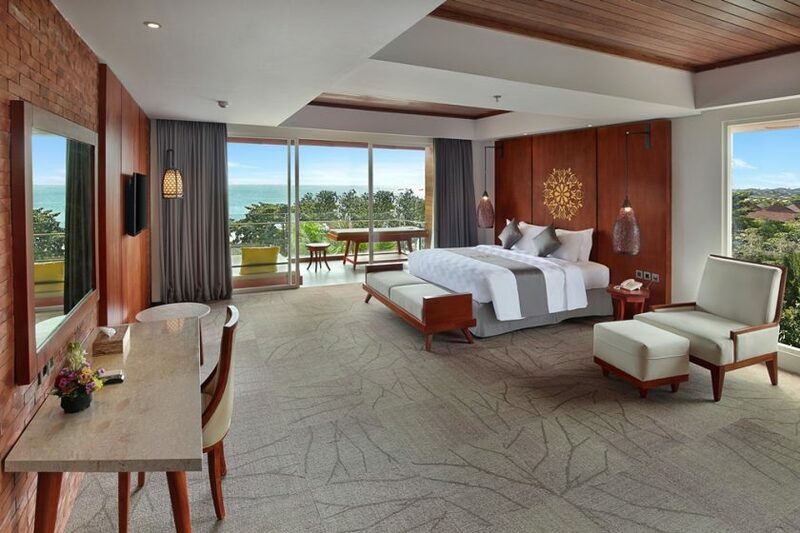 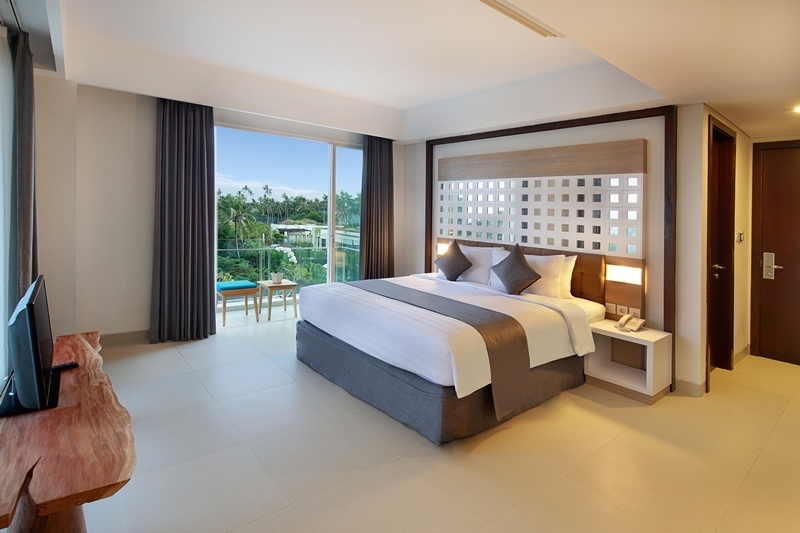 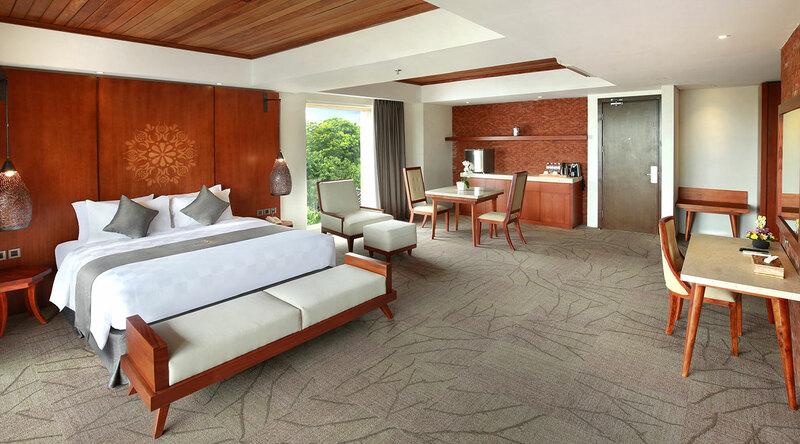 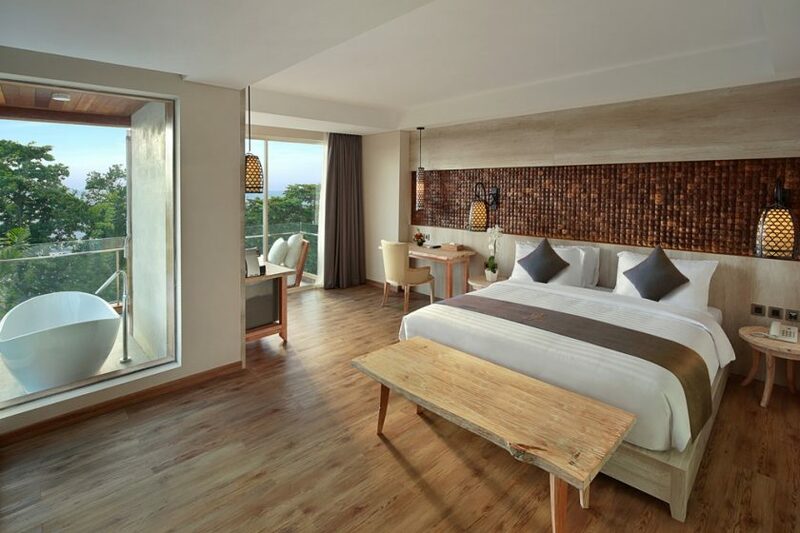 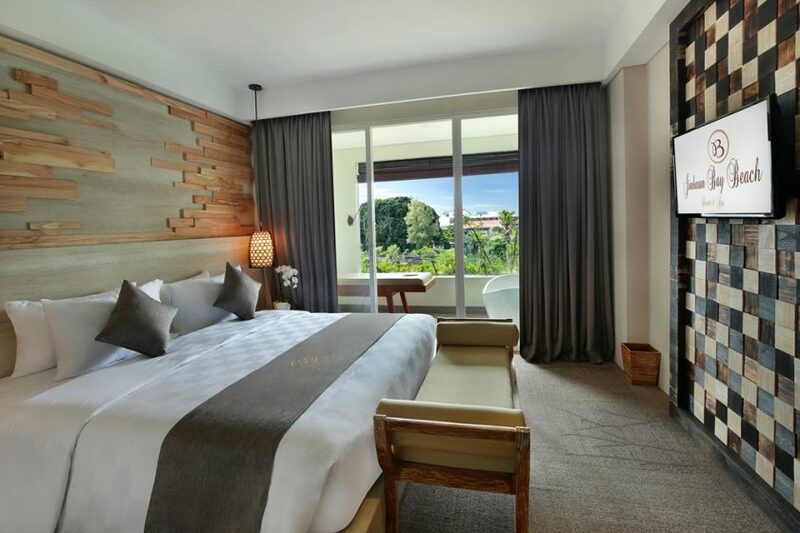 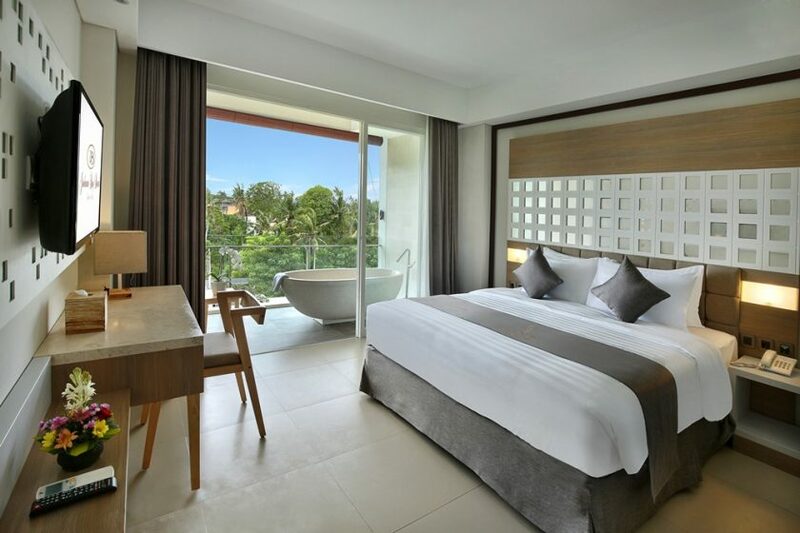 Catering for domestic and international business and leisure travellers, and perfect for couples and families, our contemporary-styled Bali Resort opened in 2016, providing service from the heart, comfortable accommodation and quality facilities at an affordable price. 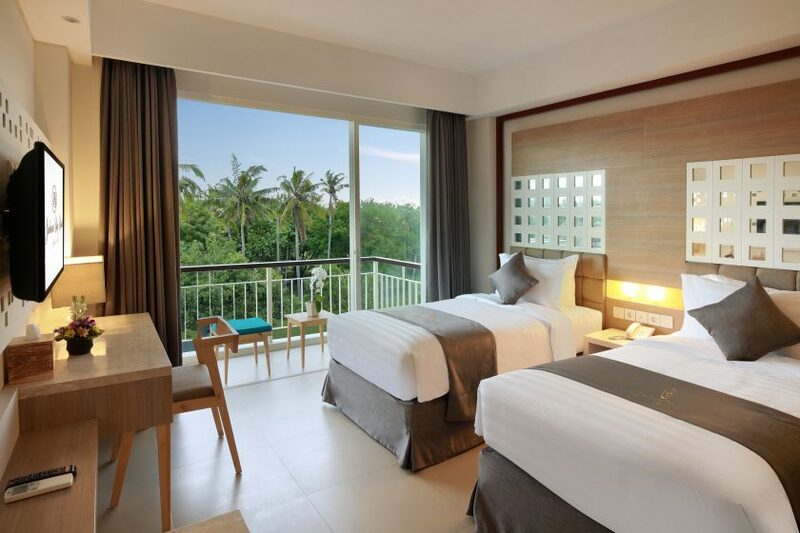 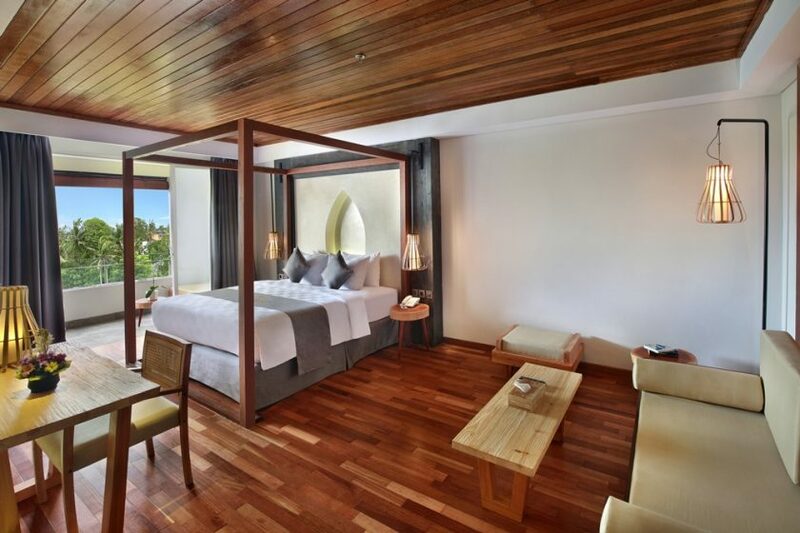 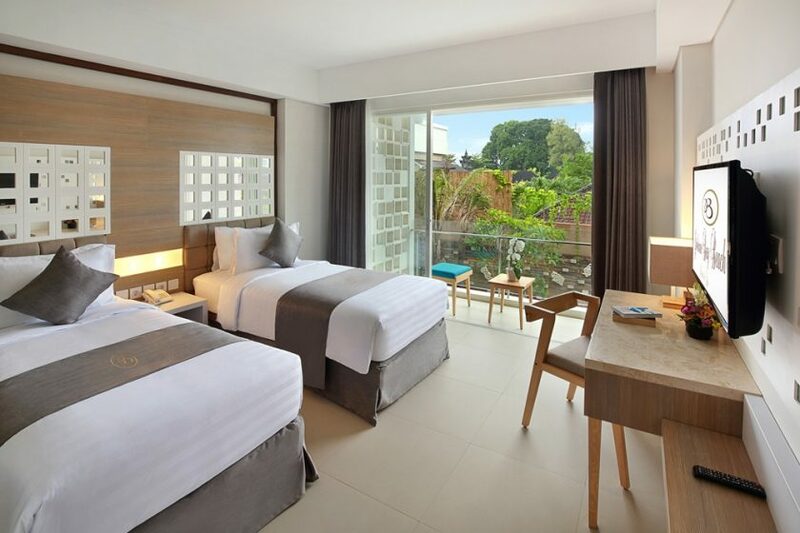 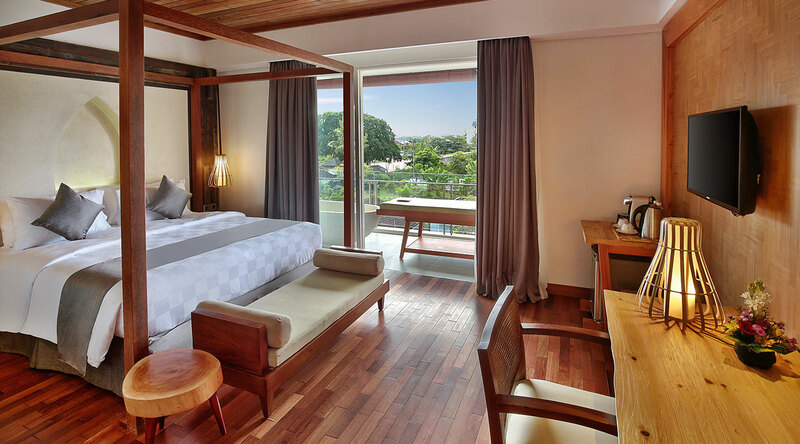 Jimbaran Bay Beach Resort & Spa presents 117, secure and quiet, air-conditioned guest rooms and suites within 11 different categories over four floors. 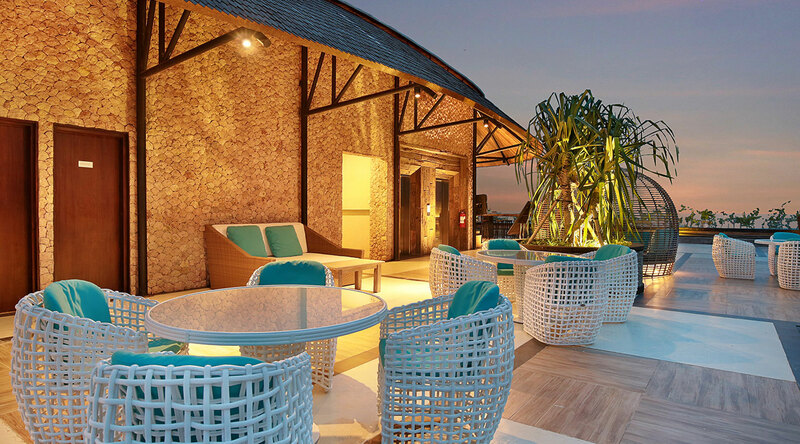 Supporting facilities include two restaurant, a spa, swimming pool with sundecks, gym, hospitality lounge, a wine lounge, pool bar and rooftop bar with unique design of furniture and art deco inspired by traditional Jimbaran fisherman village overlooking into 360 degrees view of Jimbaran Bay, internet corner, free WIFI throughout, a multi-functional meeting room, and a ballroom that spills out onto a rooftop terrace, complete with glorious sunset views over the bay – ideal for weddings, parties and events. 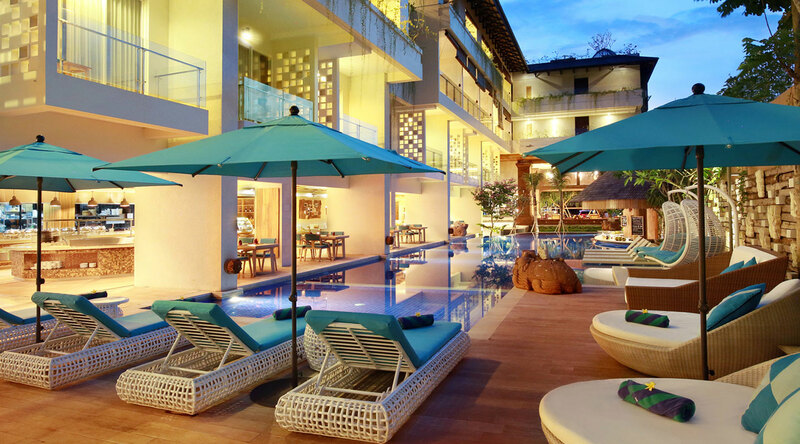 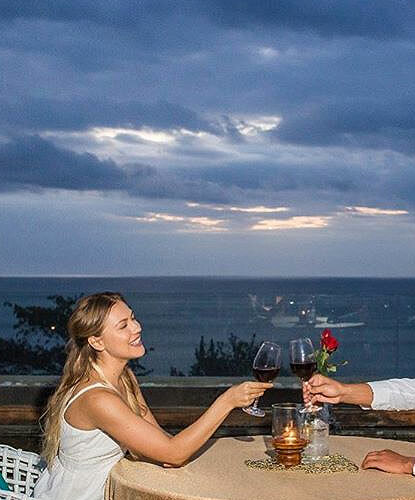 The grace and hospitality of the Balinese people is evident in the friendly smiles and attentive, yet unobtrusive, service of our thoughtful staff, who are on hand to look after your every need. 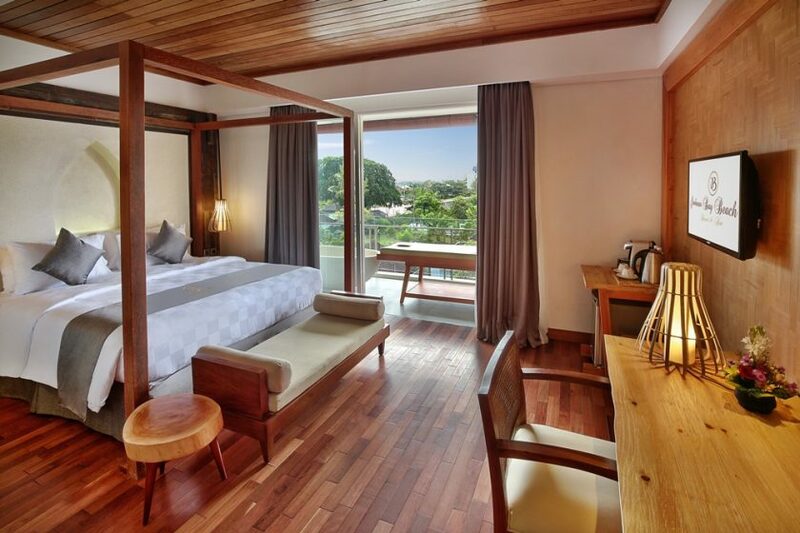 Jimbaran lies on the western side of Bali’s narrow isthmus, a sweeping bay that curves from the southern side of the Ngurah Rai International Airport and the start of the Bukit Peninsula. 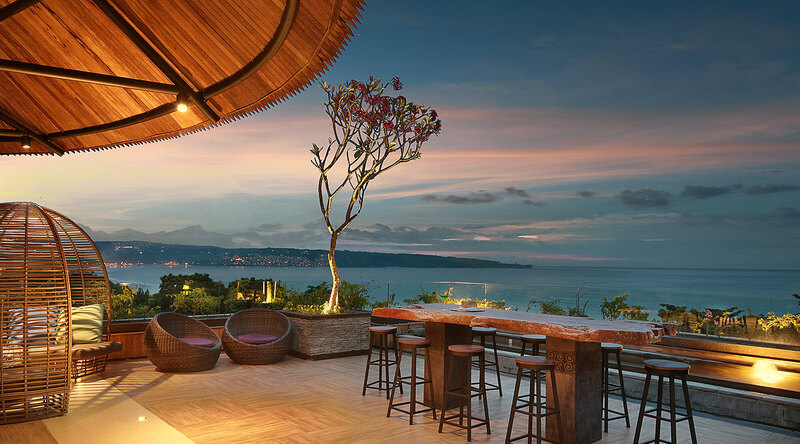 The peaceful Jimbaran Beach is an alluring crescent of golden sand lapped by calm blue waters. 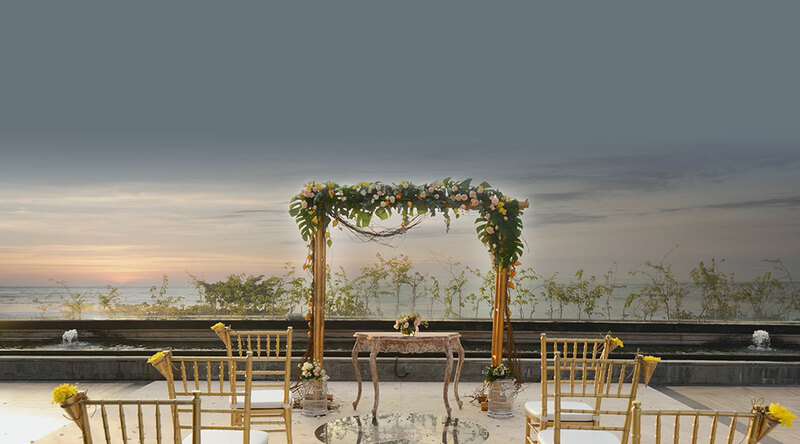 Every morning, the fishermen return to the shore in their gaily-painted boats to trade their marine harvest at the bustling Kedonganan Fish Market. 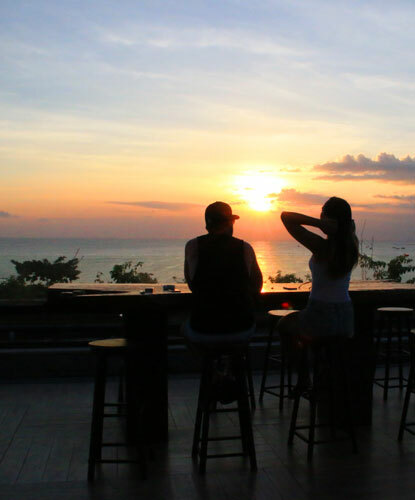 In the late afternoon, another attraction demands attention in the form of a legendary Bali sunset, while visitors take front-row seats in the famous Jimbaran seafood restaurants, which line the beach and serve up the catch of the day.